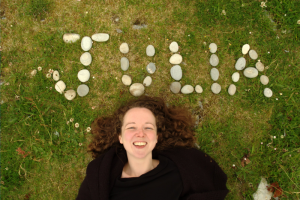 Since graduation from Edinburgh’s Telford College in 2008, Julia has delivered community dance projects across Scotland, bringing together all ages and abilities through regular classes and end of project performances. She moved to the Highlands in 2010 to work as a Dance Catalyst for the Bodycurrents Dance Partnership – a programme of community dance opportunities delivered by a team of 8 dance workers across Lochaber, Skye, Caithness and Badenoch Strathspey. In 2011, Julia became Dance Associate for plan B Collaborative Theatre based in Evanton in Easter Ross. She worked on a range of performance and teaching projects both in schools and the community for adults and children. In 2013 she went freelance and since then has worked as a dance artist for Skye Dance, Eden Court, Isabella Dance, Arts in Motion, Timespan, an Lanntair, Artsplay Highland, Kyle of Sutherland Community Partnership and Starcatchers. She has also successfully secured funding for her own projects through local and national funders providing dance opportunities for children, young people and adults in Easter Ross. In 2016 she began working in dance with older adults in the Highlands, collaborating with local community groups and arts organisations. As part of Eden Court Creative’s Outreach Team, Julia set up movement and singing sessions with residents at the Bradbury Day Care Centre in Bonar Bridge. Following the ten week project, funding was secured by the Bradbury Centre and Keep Active Together Sutherland to continue the sessions for a full year. Moving Memories Dance Project, Eden Court Creative 2016 from Eden Court CREATIVE on Vimeo.